Discussion in 'General News' started by Ridemonkey.com, Jun 29, 2012. A new era of action sports films in the 21st century will spin further into the future with the release of Where The Trail Ends this fall. 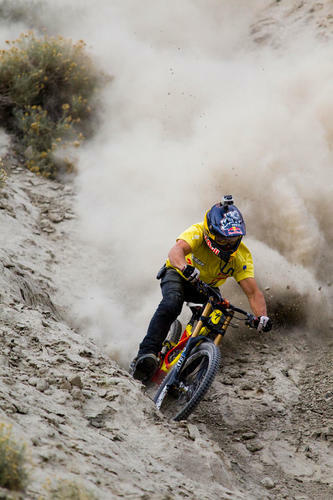 Produced by Red Bull Media House, in association with Freeride Entertainment, the movie is set to be a global cycling spectacle unlike anything ever captured on film. A teaser for the film was recently released, and once the video has achieved one million views, a full trailer will be unlocked and available to view on Where the Trail Ends. Where The Trail Ends was crafted over three years with the most advanced filmmaking and sound equipment ever used in the outdoor adventure sport genre. The film immerses viewers in an extraordinary chronicle of exploration, chaos and culture, set amongst some of the globe&#8217;s most harrowing and remote natural landscapes. Veterans of Freeride&#8217;s heralded 10-year New World Disorder film series, athletes and production crews were left physically, mentally and emotionally exhausted after the film&#8217;s expeditions to dispatches amongst the Andean foothills of Salta, Argentina, China&#8217;s Gobi Desert, Nepal&#8217;s near-secret Mustang region, the towering shorelines of British Columbia&#8217;s Fraser River and Virgin, Utah&#8211;big mountain freeriding&#8217;s punishing proving grounds and birthplace. 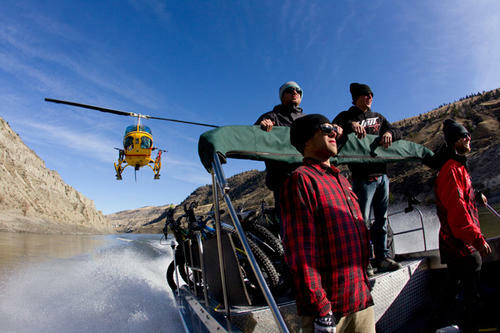 Freeride&#8217;s crews created the project&#8217;s remarkably compelling tone, footage and narrative using the highest performance tools in film as well as an array of transportation and perspectives, from jet boats, helicopters and fixed wing aircraft, to the riders themselves. Partnerships with Contour, hands-free HD video cameras, and Specialized Bikes were vital to the project&#8217;s success. Where The Trail Ends&#8217; storyline follows professional mountain bikers Berrecloth, Cameron Zink, Kurt Sorge, James Doerfling, Andreu Lacondeguy and another half dozen of the world&#8217;s top freeriders on a timeless adventure charting the course to the sport&#8217;s uncompromised destiny.